At Inner Image we feel true beauty starts on the inside. How you look on the outside starts with a strong, healthy, toxin-free body on the inside. We go beyond the surface to help patients address skin conditions with a holistic approach to health. One of the therapies we offer to promote optimum health is injectable vitamin therapy. Our series of injectable vitamin therapies will help to boost your immune system, detox and feel your best….inside and out! 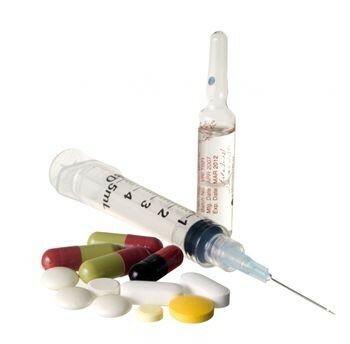 This quick and painless intramuscular injection delivers a unique mixture of B vitamins and amino acids directly into your body to support liver detoxification, energy production, and fat metabolism. The ingredients in this injection are known to assist in the breakdown of fat by converting stored fat into bio-available energy that the body can utilize quickly. The injection ingredients are therefore helpful for weight loss as well as fatigue, depression and anxiety, immune dysfunction, hormone regulation, and enhanced athletic performance. It is safe and effective for almost anyone and can be administered on a weekly basis under the guidance of our practitioners. This sulfur-containing amino acid helps to break down fat in the liver and lower cholesterol. Essential nutrient for healthy hair, skin, and nails. A precursor to the potent antioxidant glutathione which aids in detox and slows the effects of aging. Required for production of important neurotransmitters that influence mood. Can be helpful for depression, anxiety, and other mood disorders. Reduces the production of histamine which helps reduce overall inflammation and allergy response. Needed to maintain healthy cell structures and nerve impulses. A lipotropic nutrient that breaks down fat into other useful products like energy. Stabilizes blood sugar by improving the nerve conductivity that controls the pancreas to release insulin. Helpful for anxiety and depression due to its interaction with neurotrasmitters in the brain. Helps transport fatty deposits out of the liver and used by the body for energy. An important amino acid known for its benefits to heart, muscle, and brain function. Maintain cellular metabolic activity by assisting in the transport of fatty acids into the mitochondria where fats are oxidized to generate cellular energy. Support a healthy concentration of nitric oxide, which helps endothelial cells relax and maintain blood flow—supporting proper blood pressure. Maintain healthy body fat composition, which in turn supports insulin sensitivity and healthy blood sugar levels already within normal range. B- Complex: Thiamine (B1), Riboflavin (B2), Pantothenic acid (B5), Niacin (B3): This B complex vitamin helps to break down carbohydrates and converts them into energy as well as support cellular metabolism and normal function. Pyroxidine (B6): Vital for normal function of the immune and nervous system, pyridoxine is an important part of the enzyme system and plays a vital role in the metabolism of fats, proteins, and carbohydrates. Also helpful for mood disorders, hormone regulation, and PMS. Methylcobalamin (B12): This is the most active form of B12 and is essential for DNA replication, nervous system function, and blood formation. Known for producing energy in the body and its role in red blood cell production, this nutrient also plays an important role in brain and nervous system function. B12 is involved in metabolism of every cell in the body.